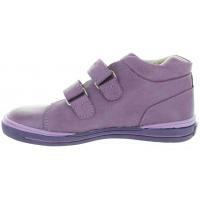 Corrective boots for girls with best support. Burgundy leather and decorated with hearts. Soft collar for comfortable wear. Great ortho support inside with anti sweat soles. Those boots will help and over time solve many foot problems. Pigeon toes, ankle pronation, feet turning inwards, supination, flat feet. They offer everything that shoes should have to properly support child's foot. Shoes form Europe only are truly supportive ones. That is why in Europe no child wears low quality shoes ever. Only orthopedic best shoes as those since they form and support kids feet. 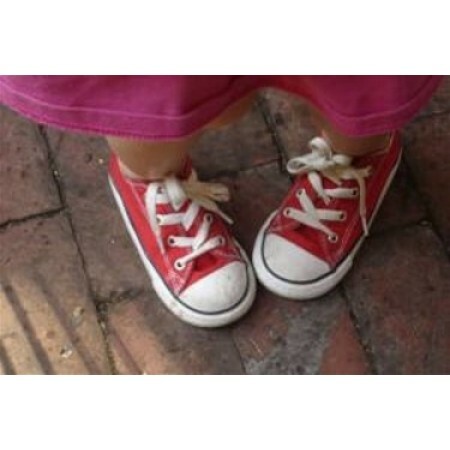 Don't think of shoes as shoes - think best thing for your child that forms little feet and supports the posture. Europeans view shoes as medical, developmental need, that forms kids feet and posture. Shoes cost lots of money in Europe as well. 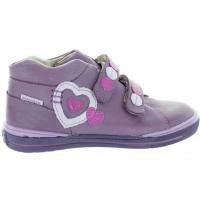 We do not have shoes for $5, $10, $15 or even $50...all shoes for children start with 90 Euro and up. The cost is calculated into production, quality of leather, orthopedic support and how they are measured and fit. Brands compete for customers but quality is present in all of the shoes. No cheap shoes are allowed for sale as they regulated by Ministry of Health. We do not have shoes from China either as they destroy and deform kids feet. Soft, supportive and very well made shoes. Cannot compare them to Primigi or Naturino that I normally buy. Those are way, way better, quality supportive shoes for a child. I never bought any shoes from that website although I seen their shoes online frequently. Well, it was a mistake, from now on I will buy every pair of shoes from them since they truly sell quality shoes as claimed. Boots to correct pigeon toes in kids.Deformed feet best orthopedic boots toddlers.Boots feature high ankle support, heel support and best orthopedic arch. They stabilize kids feet when walking, standing and running.Over time the ankle will begun to align and p.. 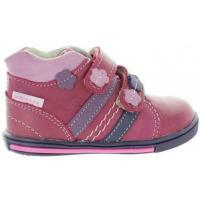 Picking the perfect first walking shoes.Choose shoes they are absolute best shoes that you can buy. European made shoes are the best and they all made with proper orthopedic features. They are soft at the soles, with good arches and have proper ankle support f..
Stop foot pain kids support bootsTrue orthopedic high top boots for child with ankle support. Manufactured in Europe with orthopedic standards set by European union. Every shoe produced in Europe is orthopedic and top quality They form and shape kids feet so q..
Child ankle support leather bootsBest for correcting ankles turning inwardsThey will stop kids foot pain as well due to ortho soles present. Boots feature ankle support, stable heel, good walking soles and proper support. Type of a leather boot that every chil..